Then its just $50.00 a month. Five Page Dynamic Website – Your provided website will be dynamic. A dynamic website alters its appearance / layout for all electronic devices – mobile phones, tablets, laptops, and desktop computers. We will register the domain name, and once the site is completed and has been paid for in full we will change the registration to your name – which means you own it. Your website will be built, and written / rewritten so it is indexed/found in all the major search engines.Your website will be created in WorldPress. You will be able to login to you website account and easily change any text or images without any programming knowledge. Pro-Sight’s Proprietary Inspection Software – Your own online account for using Pro-Sight’s proprietary inspection software. Includes 250 reports annually. After that, it is just $3.50 per inspection report. 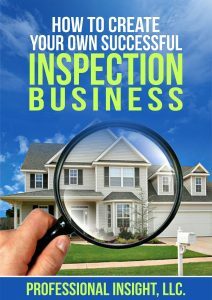 Mentoring – One 45 minute scheduled phone appointment to discuss any questions you have in regards to home inspection marketing. 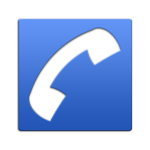 Schedule future phone calls as you need for an additional cost. Monthly conference call – once a month there is scheduled 30 minute conference call on marketing. You will be emailed a start up form, and a phone appointment will be scheduled. Additional Options for Members – Pay for what you want / need. Marketing Material Design – $295.00 custom design for brochures, business cards, and postcards. Marketing Material Customized – $125.00 use our templates, and we add your text and graphic needs to it. Mentoring – one on one scheduled phone calls to help, and guide you to successfully build your inspection company. $75.00 per 20 minutes, or $195.00 per hour. Report Analysis – $75.00 We will review the inspection report you submit. First two practice are free. Real Estate Agent List – email market to agents in your area with your own list. Quote provided for members on request. Not ready to proceed without a brief phone conversation? Then please contact us, or just reply to the email that was sent to you. Please only schedule if you are very serious about a home inspection career. Thank You.